RETRO KIMMER'S BLOG: NEW! GEORGE HARRISON VINYL COLLECTION! George Harrison - The Vinyl Collection is due for release on 24 February to mark George's 74th birthday. 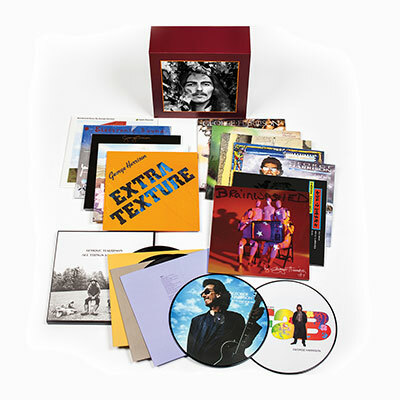 All 12 of George's studio albums plus Live in Japan and two 12" Picture Disc singles in one specially designed box. Limited badge set available exclusively when you order from the official store, while stocks last. An expanded edition of George's much-loved autobiography, I, Me, Mine, originally released through Genesis Publications in 1980, will also be released on February 24. 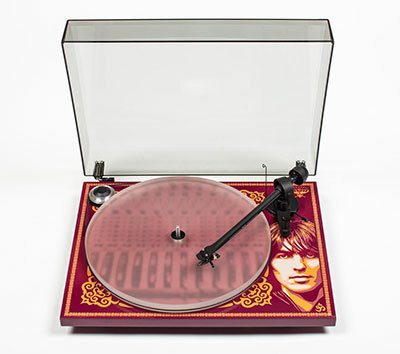 The George Harrison estate have teamed up with one of the worlds most recognised and respected turntable manufacturers, Pro-Ject to bring you this limited edition George Harrison turntable! 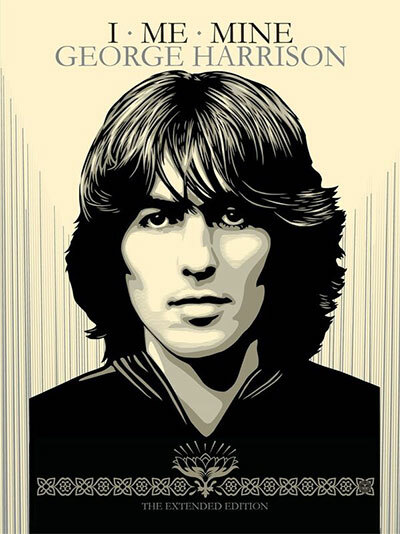 The vinyl box set includes all twelve of George’s studio albums with exact replicas of the original release track listing and artwork. Also included in the box set are George’s classic live album Live In Japan (2LP), and two 12” single picture discs of ‘When We Was Fab’ and ‘Got My Mind Set On You’. All the discs are 180-gram heavyweight vinyl and are housed in a high-quality two-piece rigid slipcase box. The original analogue master tapes were used for the new re-masters and were cut at the legendary Capitol studios to ensure exceptional audio quality throughout. The individual albums from the collection will also be available separately, with All Things Must Pass as a limited edition title.